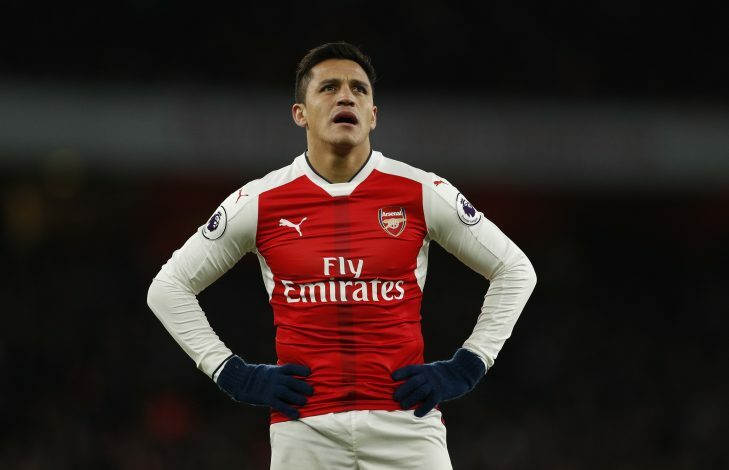 Alexis Sanchez’s national compatriot Gary Medel has urged the Chilean attacker to join him at Inter if he decides to leave the premises of Emirates anytime soon. The 28-year-old attacker – who arrived at the Emirates for a reported fee of £31.7 million back in 2014, has been the sole source of goals for Arsenal, yet, his future remains uncertain as his contract will be expiring at the end of last season and there is no affirmation on the same till date. It was reported that Sanchez was furious when his team lost to Bayern Munich with a thumping margin of 5-1 and since then, it is looking all but certain that he will leave the club no matter if Wenger stays or not. Furthermore, with Inter looking to revamp themselves with club’s owners, Suning Group, ready to fire all the cylinders, Sanchez – according to Metro – was linked with a move to Inter back in December. And to fuel the speculation further, Sanchez’s national teammate Gary Medel has recently said that the 28-year-old should join him San Siro. “Alexis is a player everyone knows,” Medel was quoted by Express Sport. “He’s one of those strikers that all the top clubs look at. I don’t know what his future will be. Inter are a team looking for a route to glory – the glory they have seen in past and Sanchez would perfectly fit in the plan. Icardi, right at this very moment, is leading the lines for La Beneamata, but he is always linked with an exit – especially with Arsenal, and in that case, Sanchez’s arrival would make a perfect sense. Sanchez’s exit at the end of the season is preliminary, but it remains to be seen what would be his next destination as he will surely not be short of any potential suitors.